The top of the ladder is very competitive so far. Schalke 04 ended the 2018 season with a bit of disappointment. After an entire year of growing, improving, and clawing their way through the standings, they fell short at the EU LCS finals and therefore barely missed qualifying for Worlds. This year, it looks like they haven’t skipped a beat, because they’re picking up right where they left off. With today’s win over Splyce during the third week of the LEC, they climbed into second place, even over the star-studded Misfits roster. In today’s game, they showed minimal mistakes—and if they can iron those out, they’re going to be some of the region’s toughest competition. There were some throws, like when Splyce snagged an Infernal Drake away from Schalke by only using a Braum Q. But for the most part, this Schalke looks almost better than the team that ended the 2018 season—and that’s a very good sign. If they can get even better, they might even be able to take a game away from G2. Andrei “Odoamne” Pascu is one of the most important players on the team right now. 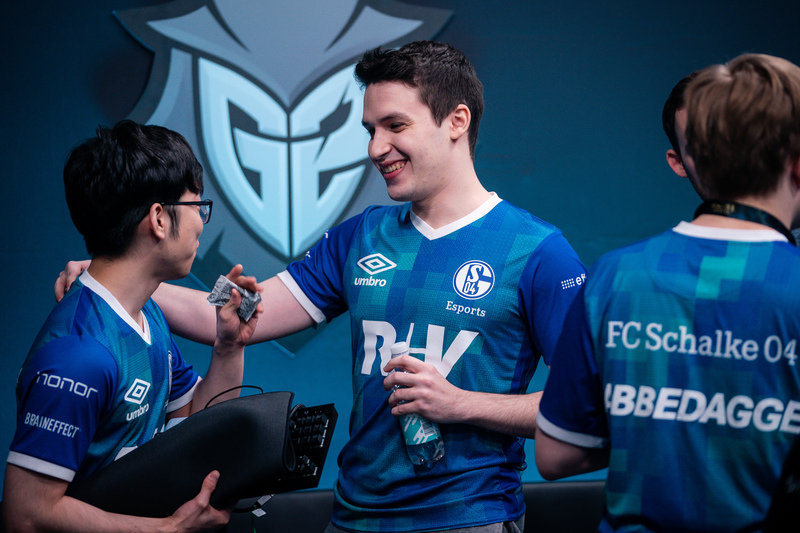 He isn’t solo carrying every game by any means, but he’s playing at such a higher level compared to his time with Splyce in 2018 that it’s turned out to be the difference maker for S04’s 2019 run so far. If he were to keep struggling like he was last year, there’s no way this team would stand a chance. He’s locking in slightly different picks than he did last year, too, with champs like Ryze top instead of being on permanent tank duty. With Fnatic out of the spotlight for one of the league’s best teams right now, there’s suddenly a void to be filled. G2, being the team that constantly followed in Fnatic’s shadow last year, naturally moved to the top, but there are several teams that can still compete for the league’s No. 2 spot. With today’s win, Schalke are in second place—but they’ll have a few teams gunning for that spot as the split moves forward.